The Curio Cottage Thrift Shop at the Westport Woman’s Club is having a Huge Winter Clearance Sale. For the ENTIRE MONTH of FEBRUARY EVERYTHING is HALF-PRICE. There are a wide variety of quality items from collectibles, jewelry, glassware, artwork, purses and much, much more. The shop is open Monday 1-4, Wednesday, Thursday, Friday 10-3, Saturday 11-2. Proceeds benefit Fairfield County Charitable Organizations. 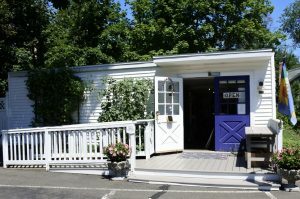 The Westport Woman’s Club, organized in 1907, is a non-profit philanthropic organization dedicated to volunteerism and the raising of funds in support of the educational, charitable, cultural and public health services in Westport and surrounding towns. You do not have to be a Westport Resident to join The Westport Woman’s Club. To join, call 203 227-4240.